Arbor Teas Are Now Green Industry Hall-of-Famers! International Green Industry Hall of Fame! 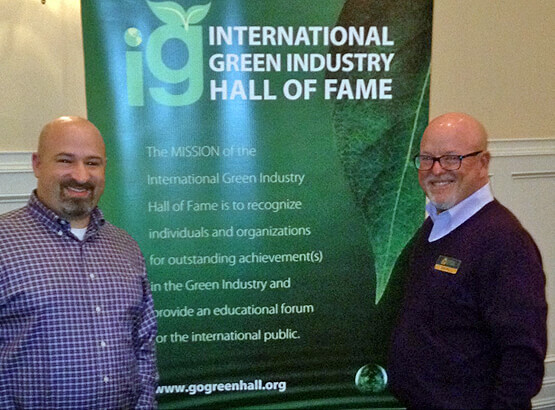 The International Green Industry Hall of Fame (IGIHOF for short), is a non-profit based in California that recognizes individuals and organizations committed to creating a better environment through green practices. After a blind nomination process and a review by their Board of Directors, Arbor Teas was selected for conducting our business with a genuine commitment to environmental stewardship. Other inductees this year included the likes of Interface, Roz Savage, URBEE, Nest, and many more - talk about honorable company! Thank you all for helping us get this far - and for being with us as we head into the next leg!